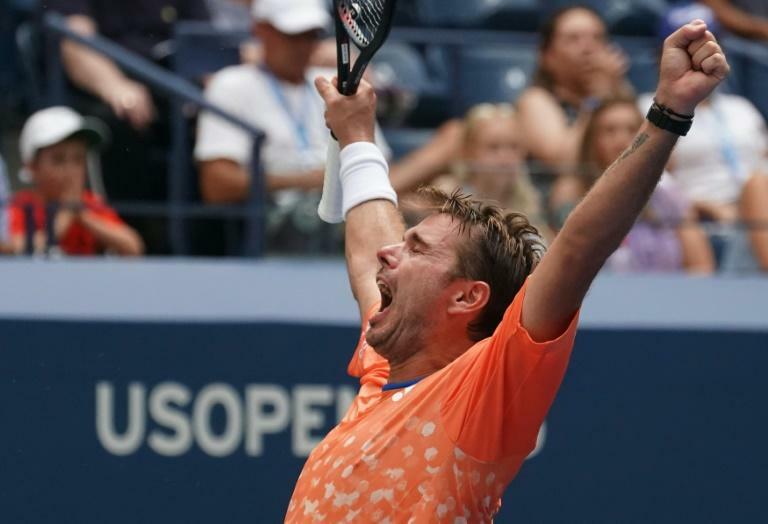 Three-time Grand Slam champion Stan Wawrinka outlasted determined French qualifier Ugo Humbert 7-6 (7/5), 4-6, 6-3, 7-5 on another steamy day at the US Open on Wednesday. Wawrinka, unable to defend his 2016 title after undergoing two knee surgeries last year, said he wasn't surprised at the challenge produced by 139th-ranked Humbert, who is playing his first tour-level event this week after a dominant summer on the developmental Challenger circuit. "I knew it would be a difficult match," Wawrinka, whose ranking has slipped from a high of third in the world to 101. "He's a young player. He qualified, he won his first match." Wawrinka, 33, served for the match at 5-4 in the fourth set, but was broken by the 20-year-old Frenchman. He broke back in the next game and clinched the win on his second match point in the next game. "I'm really happy with the victory," said Wawrinka, who next faces Canadian Milos Raonic for a place in the last 16. "It was tough conditions. It's never easy to play and move your best when conditions are so tough."